Mercedes warmed the crowds up at the 2012 Geneva Motor Show by displaying the SL 63 AMG, but next month at the 2012 New York Auto Show, things will be heating up as the company will be bringing an even more powerful version for the current SL-Class: the SL 65 AMG. While the current SL 63 AMG is powered by a 5.5-liter V8 engine that delivers a total of 537 HP and 590 lb-ft of torque, the SL 65 AMG will be powered by a AMG 6.0-liter V12 biturbo engine that delivers a total of 621 HP and a maximum torque of 738 lb-ft. With this amount of power the SL 65 AMG will sprint from 0 to 60 mph in 3.9 seconds, while top speed goes up to an impressive 186 mph (in Europe it will be limited to 155 mph). 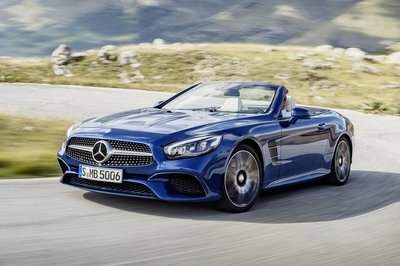 In Germany, the new SL 65 AMG will go on sale in September 2012 at a starting price of 236,334 euro (about $310,000 at the current exchange rates). Prices for the US market will be announced at a later date. 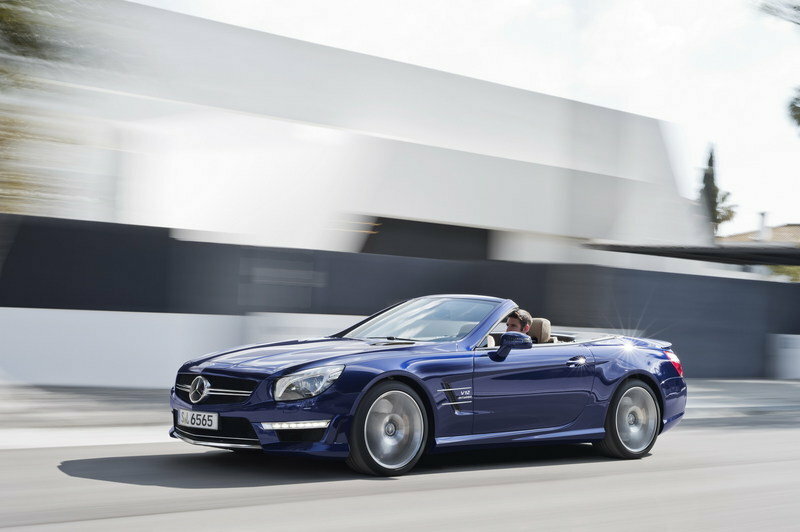 UPDATE 04/24/2012: Mercedes has unveiled a new promo video showing off the brand new SL 63 AMG and SL 65 AMG as they drive through the beautiful Tenerife. Enjoy! 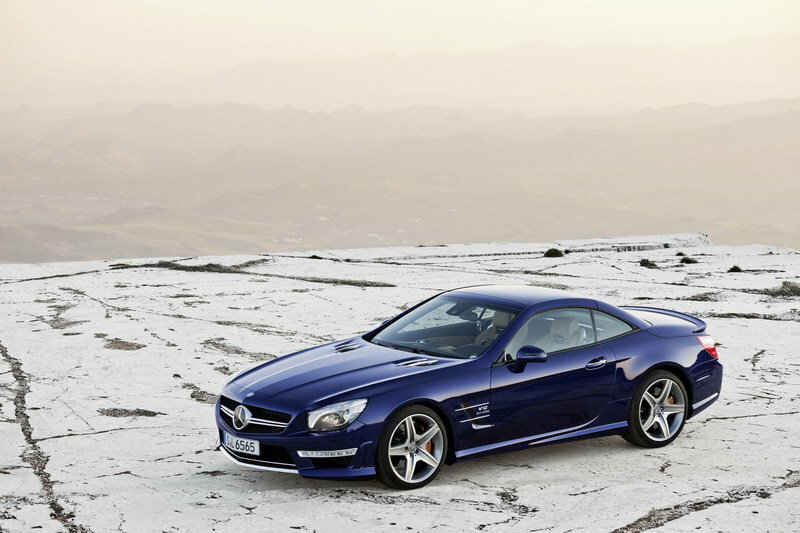 Hit the jump to read more about the new Mercedes SL 65 AMG. Just like all of the other models launched recently, the new SL65 AMG has received the new AMG brand face. This is immediately recognizable in the car’s new "twin blade" radiator grille in high-sheen chrome and the lower cooling air intake, as well as in the gap formed below the fine black fin at the lower edge of the cooling air opening that allows an optimum airflow over the cooling modules. 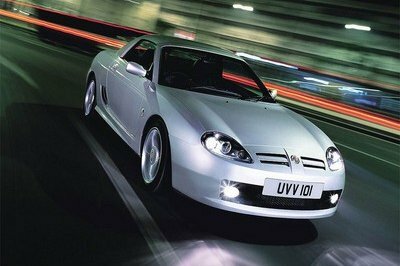 High-sheen chrome was also used for the lower cross strut in the front apron, the surrounds of the special AMG daytime running lamps, the fins on the bonnet, and the side of the wings. The new SL65 AMG will be further distinguished thanks to its front apron with large openings for the engine oil, water, charge air and transmission oil coolers, the specially shaped side sill panels, the AMG spoiler lip, and the diffuser-look rear apron with a vehicle-color insert. 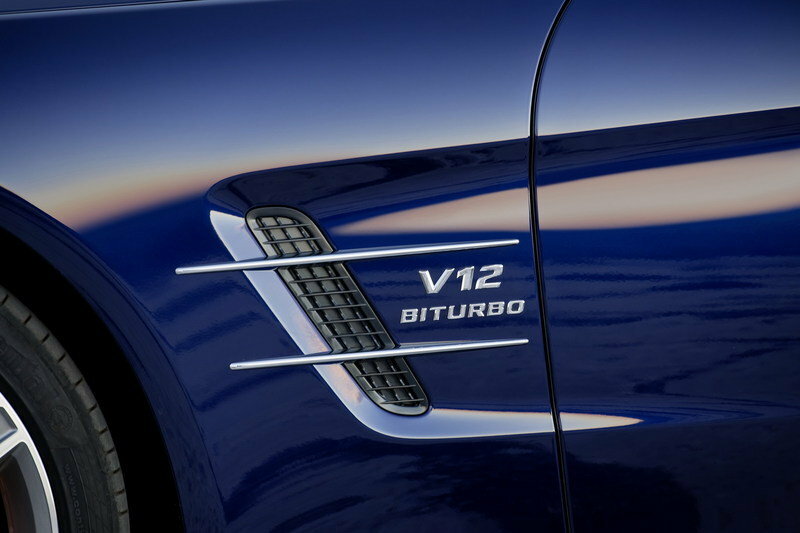 The "V12 Biturbo" logo on the front wings will let people know what the driver is working with under that hood, but if there is any question about the power in this ride, the two special chromed twin tailpipes of the AMG sports exhaust system will offer further assistance. The car will sit on a new set of 19" AMG 5-spoke light-alloy wheels painted in titanium grey with a high-sheen finish. If customers opt for the AMG Sport Package, then they will receive a set of 20" AMG multi-spoke forged light-alloy wheels. The same sporty and aggressive feeling of the exterior was continued throughout the interior. The cockpit was inspired by the SLS AMG and features four air vents styled like jet engines, an E-SELECT lever, and the AMG DRIVE UNIT. Next to these items, the SL65 AMG gets electrically adjustable AMG sports seats with single or two-tone upholstery in Exclusive nappa leather with a special AMG diamond pattern, AMG carbon-fiber trim elements, an IWC-design analogue clock, chromed AMG door sill panels illuminated in white, and an AMG Performance steering wheel embellished by an AMG logo in the lower metal insert. 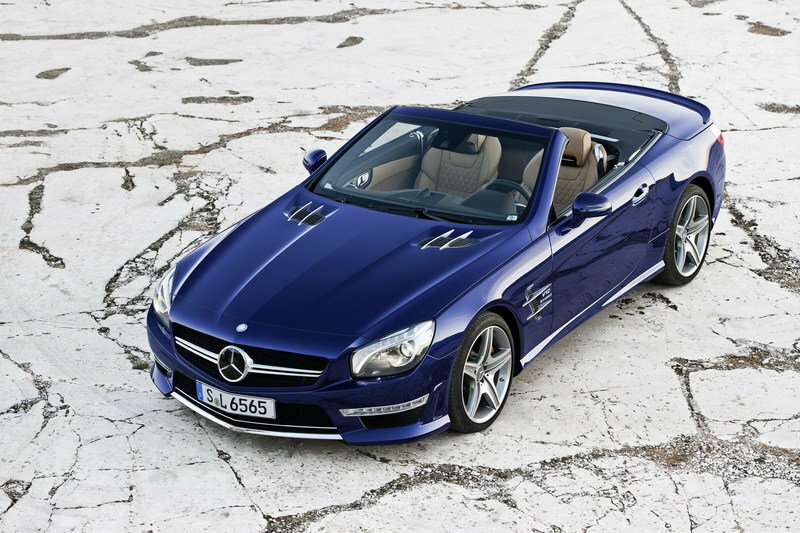 The Mercedes SL65 AMG is powered by an AMG 6.0-liter V12 biturbo engine (M 279) based on the previous M 275 unit. The new engine has received an enlarged spiral cross-section, new manifolds, and wastegate channels optimized for airflow to deliver an additional 17 hp. 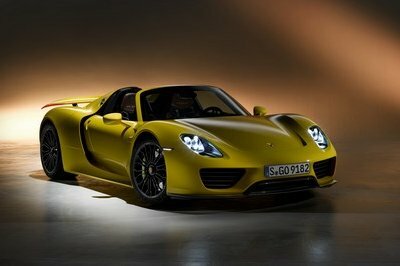 The result is an output of 621 HP and 738 lb-ft of torque. The engine is mated to an AMG SPEEDSHIFT PLUS 7-Speed transmission with four individual drive programs that can be selected at the touch of a button on the center console – Controlled Efficiency (C), Sport (S), Sport plus (S+), and Manual (M). 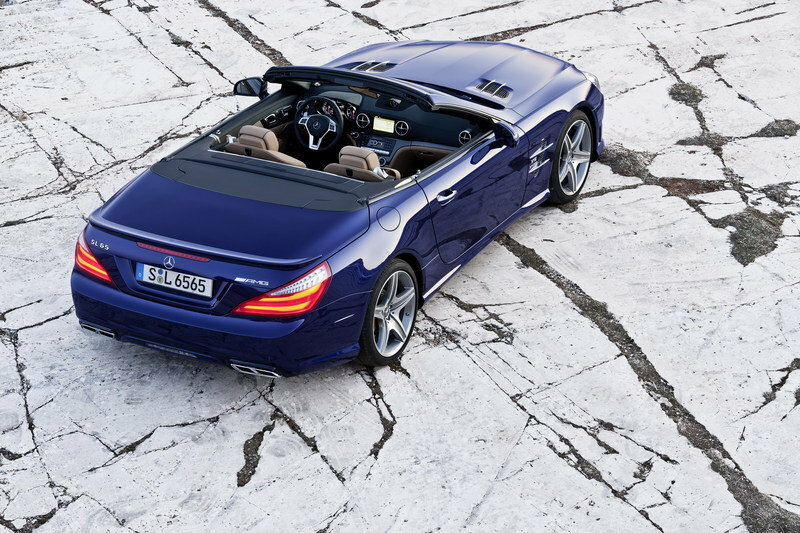 The new SL65 AMG will sprint from 0 to 60 mph in just 3.9 seconds, while top speed goes up to 186 mph. Like all of the other SL models, the SL65 AMG has also received an all-aluminum body-in-white construction that helped reduce its total weight by about 254 lbs. The new SL65 AMG is also fitted with the Active Body Control active suspension system and an all-new, electromechanical AMG speed-sensitive sports steering wheel. Finding a real competitor for the new SL65 AMG isn’t that difficult, but the car was developed as a direct response to the Porsche 911 Turbo - a model that is about to enter its new generation. The new 911 Turbo is powered by the same 3.8L turbocharged flat six engine as the current 911 Turbo, but massaged to deliver more than the current 500 HP for the standard Turbo and 530 HP for the Turbo S. Models like the Jaguar XKR-S may also serve up some decent competition. The Jag is powered by a 5.0-liter supercharged AJ-V8 engine that delivers a total of 543 HP and a peak torque of 502 lbs-ft. Top speed also sits at 186 mph. Just sold my AudiR8 Spyder 5.2 and bought an SL65 Anniversary Edition. What a car!! Incredible comfort and speed. SL65 AMG is perfect for most unsatisfied enthusiasts. It might be a surprise for those who are about to see it personally. The V12 Engine sounds great, and if I will base it on former models of the Mercedes, I can say that this one is better and more powerful than SLS. This has certainly improved a lot from what we’ve seen in it before. 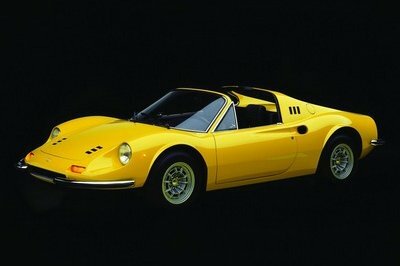 It was a good notion to present this to the New York Auto Show. Mercedes-Benz SL65 AMG it looks awesome it is my favourite car hard top convertible its lookups and exterior engine match and it makes the hypercar of Mercedes-Benz. Wow. I don’t know if they changed it to the maximum, but this has already surpassed my standards. I find this very convenient to use despite its elegant appearance according to its specifications. Everything on its exterior seems to match perfectly, making it appear majestic. 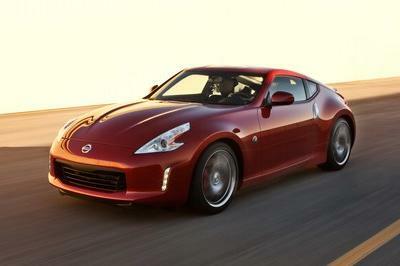 As much as I like it, there are better cars out there with lower prices. This is really neat; the sleek exterior is complementary to its innovative interior and performance. I think $200,000 is a bit low for this. Maybe the enthusiasts should buy it at its first launch before Mercedes decides to raise its price. That is such a big change! Now I’m even more anticipating for a more powerful performance! I really like how this thing roll; its innovative figure and wonderful performance are very fantastic, not to mention the price that suits it. I like its rear better, to be honest. Moreover, the purple paint job it sports does mix well with the glowering red taillights. What? I won’t deny that it’s truly dynamic, but with that price there is surely other cars of the same specifications. The engine performance is impressive, yet it will cost you a fortune. Have they already completed this project and made it to the market? What I like about this concept of Audi is that it is very stylish, speedy and powerful. The description of this car’s stuffs under its hood was very well-detailed. The amount of $200,000 is not bad as a starting price. Its engine is beyond spectacular; the performance really is high. As expected, so is its price.